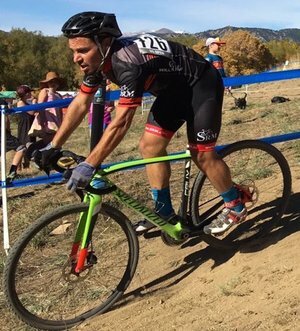 Intro: Let’s start with the obvious: Cyclocross is fun. 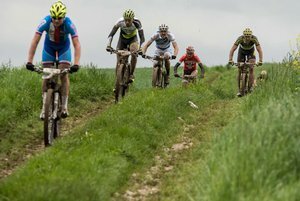 For anyone who loves bikes, training, competition, all in gnarly weather conditions, this sport is for you. 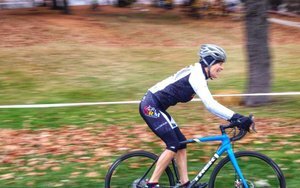 As a seasoned athlete, or a novice, Cross has much to offer. There are drawbacks, however. It is hard. It’s intimidating, and training for this goofy sport can be confusing. That’s the truth. Over the next few months, I’ll be walking you through a series of short articles that will help shake those drawbacks, allow you to train properly, and orient you in the proper direction so that the fun-factor is maximized. Whether you’re in the hunt for that gold medal or just want to cross the finish line for the first time, if you have prepared well, you’ll come closer to performing at your best while having a darn good time doing it. The SRM PowerMeter is an incredible tool for a coach and athlete to monitor the training and racing over time. It's consistent, it's accurate, it's reliable. But is life this way? Is any race that way? Nope. You actually have to deal with life and situations in races as they come up. The power tells the story of the race and helps us better to train specifically for the demands of the race, which hopefully can help the coach and athlete deal more successfully with "life" happens. 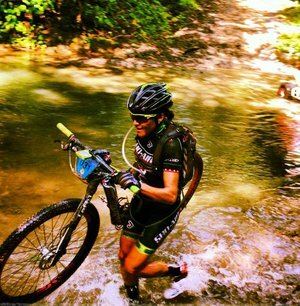 Pua Mata had an incredible year, both on and off the bike this year. 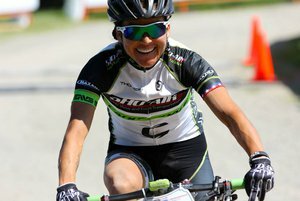 Overcoming a broken leg in March, to winning 5 of her first 6 races back from that injury, adding another national championship to her list of accomplishments all led to her having one of her most successful years as a professional mountain bike racer. Capping the season off with another big win at this years's addition of La Ruta de los Conquistadores, I couldn't be more proud of her as an athlete and as a person. Pre-Race: After a great win at the Pisgah MTB Stage race, Pua took some rest and before ramping back up in for the final training block, we had a few things to work around. Injury and sickness occur for everyone; and thankfully, it was nothing major, but the lead into La Ruta this year was far different than last year. As a coach, you can't hide that from the athlete when the athlete is the ONE DOING THE TRAINING, but we talked through that the engine was already built and did our best with what we had. A few solid sessions later, Pua was off to Costa Rica to connect with teammates Alex Grant and Manuel "Manny" Prado to recon the Jungle and get set for a week of racing.